These are great events to get your message out, but without the proper signage, you’ll miss out. Stick out with a creative vinyl banner that will attract your target customer. The lightweight and flexible vinyl allow for packing and unpacking. Vinyl banners can be hung above the table, on the table, or even make an eye-catching backdrop. Digital printing allows for a bright design that really pops, and lasts years to come. The ability to print on vinyl allows for temporary messages, multiple designs, seasonal signage, and the ability to mount to almost any surface. 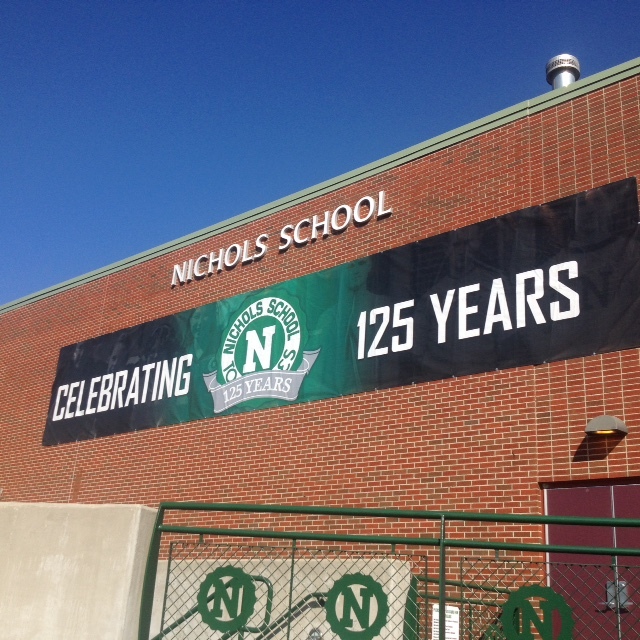 Using all weather, tear resistant vinyl allows you to know that your banner can withstand the elements. Choosing a quality product with VSP means your banner will last for years without damage or fading. Vinyl banners are great for small businesses, store fronts, and announcements. You’ve probably also seen many towns feature vinyl banners with the town name on all of the street lights. Whether it's a birthday celebration, anniversary, or some sort of charity event, vinyl banners can truly put a stamp on a special event. Being durable, but foldable, means you can bring the sign anywhere with you and also use it more than once. Print your special message, photographs, anything you want. With custom vinyl banners, you aren’t limited to being stuck with one design. VSP can work with you to custom design a banner to help commemorate that special moment. As you can see, vinyl banners have become quite the hot commodity. If done right, with the right designers and materials, they can truly make an impact. You aren’t limited to being stuck with a plain old sign for your storefront, or have to paint a wooden sign for your anniversary party. Call VSP to talk about designing a custom vinyl banner for your party or business! We have graphic designers, and some of the top tier equipment in Western New York for banner printing. Let’s make this happen!